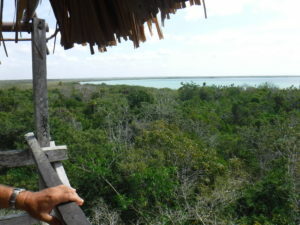 From the top of the wooden tower viewing the lagoon beyond. 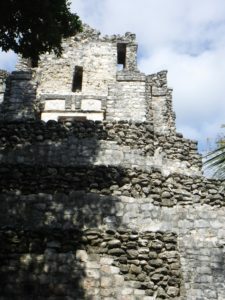 Muyil was an ancient Mayan salt trading post a little south of present day Tulum. The ruin is the tallest on the Caribbean Coast. 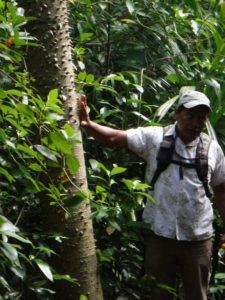 Our Mayan guide walked us through the jungle explaining plants and trees. I climbed the wooden tower for a view of the lagoon beyond. 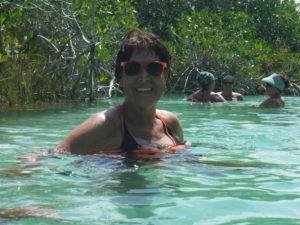 On that body of water were took boats, crossed through a mangrove island and entered a larger lagoon. There we inverted our life jackets and jumped into a canal of cool fresh water that carried us for 40 minutes toward the sea. These waterways were used by canoes to transport trade items. Near the end we surfaced onto a boardwalk that took us above mangrove on a more direct route back to our boats. 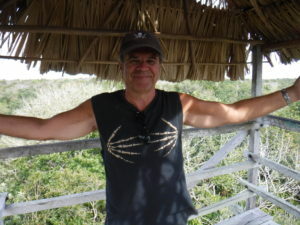 This is part of the nature preserve Sian Ka’an, absolutely magnificent! Muyil Ruins. Tallest on the Caribbean coast. Our Mayan guide Pastor explaining about poison tree. 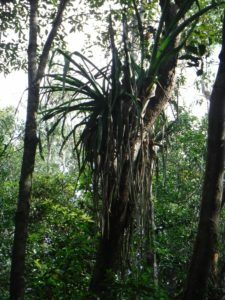 Bromeliads of the air plant variety settle in crotches of trees. 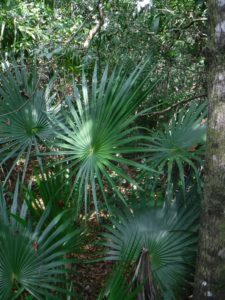 Fan palms abound in the . The plants used for palapa roofs. Brent Parkin with me on top of the world. Then on to boats to cross the first lagoon. 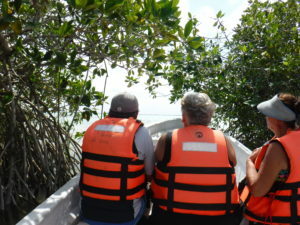 And through a passageway in a mangrove island to the larger lagoon. 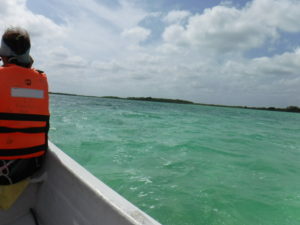 Our life jackets got inverted and we were carried by the current of crystal clear water toward the sea for 40 minutes.